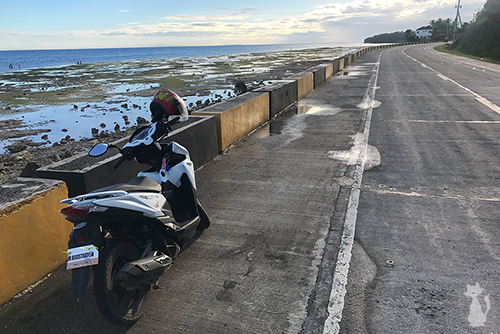 I always like to compare Bohol with Boracay: Just like the most famous island in the Philippines, the people book their hotel on one of the beaches here, and then explore the different natural highlights, either by renting a motorcycle and cruising around by themselves, or by joining a tour. But there are also huge differences between these two popular islands: While Boracay is really all about the beaches and island hopping, Bohol offers a much greater diversity. Yes, it’s also much bigger, but there’s more to it than just the size. That also means you can find some nice local Bohol girls in the different beach towns and villages – different to Boracay, where most Filipinos come from mainland Panay or other parts of the Philippines. But anyway, I don’t want to talk about the local girls in today’s post, I have already covered that in great detail in this guide. Instead, we will take a look at everything fun and interesting to see and to do in Bohol during the daytime, before the sun sets and you are ready to go to the bars. 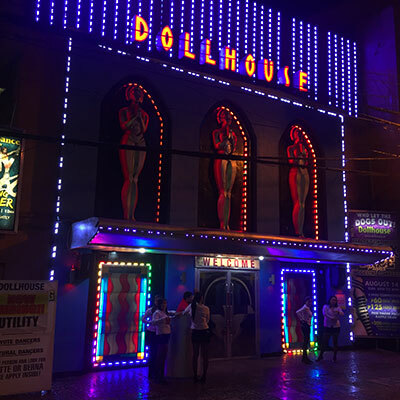 Sure, it’s also a lot of fun to have a couple of cool San Mig Light in one of the girly bars at 3pm in the afternoon and just let the time flow by, but after a few days you probably want to experience something else, so that’s what today’s post is about. 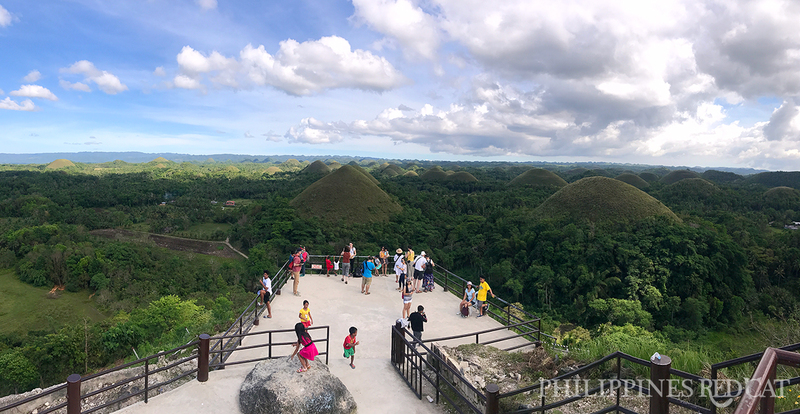 Everyone knowns the Chocolate Hills and the Tarsier, and while these are certainly the most famous attractions in Bohol, there are quite a few other fun things you can do here during the daytime. Important note here: I would recommend you to rent a motorcycle to visit most of the places mentioned in this guide. You can either do it right at the ferry pier in Tagbilaran, but the guys there charge too much for their rather average bikes – about 450-500 Pesos per day for a very basic scooter. 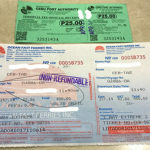 Instead, I took the tricycle to Alona Beach for 200 Pesos, and there I got a really nice scooter for 350 Pesos per day. Alternatively, you can also book guided tours at the travel agents on Alona Beach, but I find it more enjoyable to be free and drive there by myself, stopping along the way if I find a nice place. Be careful though, especially the foreign women often drive like crazy – and have little experience. The most popular and most developed beach in Bohol. Nowhere else on the island you can find more hotels, shops, restaurants, bars and massage salons than here on Alona Beach in Panglao. But yes, the beach itself isn’t that beautiful (anymore). Too many boats, too many people, too many dogs. But even though it’s not the best beach to swim in, there is a beautiful beach promenade with plenty of scenic bars. Means great opportunities to just relax or to meet a nice Filipina girl who is on holiday, too. Also located on Panglao, Dumaluan Beach is one of the many neighbor beaches of Alona Beach. You can drive there by motorcycle in about 15-20 minutes. It’s more beautiful than Alona Beach, but the water is very shallow, so again more suitable for a romantic walk with your date in the late afternoon than for swimming. There is an entrance fee of 50 Pesos at Dumaluan Beach. It’s not very easy to get there, but it’s definitely worth it: Anda Beach is the most beautiful beach in Bohol. It almost looks like Boracay, just without all the crowds. It’s surprising how few people know about it – everyone talks about the Chocolate Hills and Tarsiers, but not many tourists make their way to this beach. Anda Beach is located on the southeastern coast of Bohol – it’s 113km from Alona Beach in Panglao. I drove there with my motorcycle, and it took me almost 4 hours to reach it. You might think that’s quite long, but you should be really careful on these roads, there are lots of inexperienced tourists (and also local Filipinos) who drive too fast, and the road condition isn’t that great either. 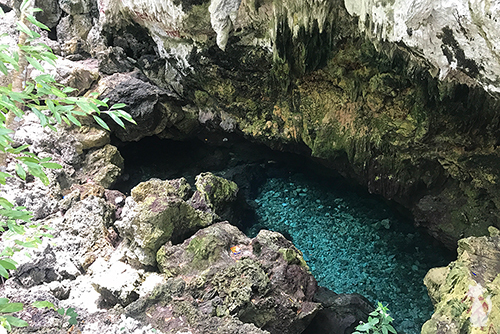 Another popular place to visit in Anda is Cabagnow Cave Pool. I was told that you can swim there, but when I came there I was the only person and it looked too dangerous to go all the way down. 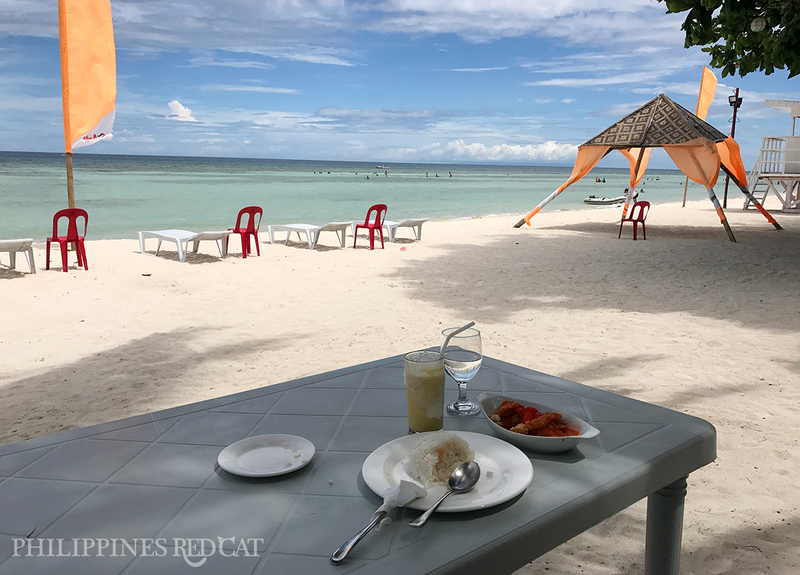 Anyway, don’t miss the restaurant on Anda Beach, the meals aren’t bad at all, and there’s also a nice beach bar where you might see some Foreign-Filipina couples like in my video below. I know, you cannot leave Bohol without having visited the Chocolate Hills, but I personally think they are a little bit overrated. At least for the effort: I rode the motorcycle for more than 2 hours from my hotel on Alona Beach to the Chocolate Hills Lookout (68km), and I found the girls there nicer to look at than those funny hills. I’m not saying that you shouldn’t visit that place, but that’s all there really is to it: round hills in the middle of an otherwise boring scenery. The lookout is open every day from 8am to 11:30pm – entrance fee: 50 Pesos. The tarsier is a really interesting animal – and I was surprised how little it is. By looking at my pictures, you might think they are like small monkeys, but in fact they are only 8.5-16cm tall. The tarsier belongs to the 45 million year old family Tarsiidae. The Tarsier Conservation Area is located by the main road that runs through the mountains. You can conveniently make it a stop on your way to the Chocolate Hills as it’s right on the way. The entrance fee is only 60 Pesos. It’s set up in such a way that you can walk along a circuit of about 150m, and on several spots on the way there are park employees showing you the tarsiers up on the lush trees. And, like so often, you will not only find nice animals to look at. 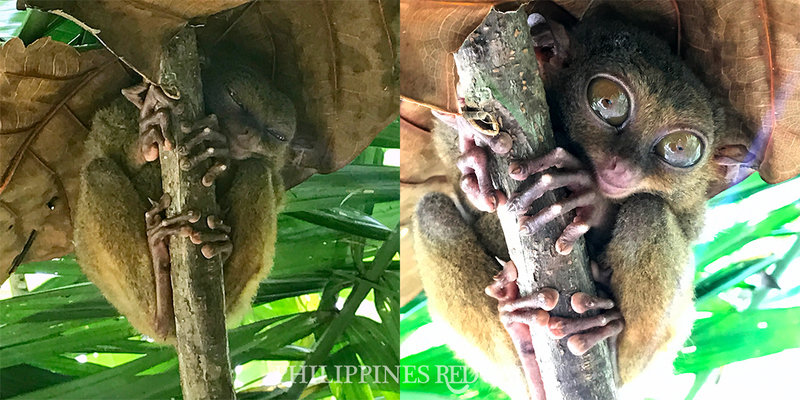 The Tarsier Conservation Area is open every day from 8am to 5pm. This is the place I enjoyed most during the daytime. The Bohol Bee Farm has fantastic food in their restaurant “The Buzz Cafe“. 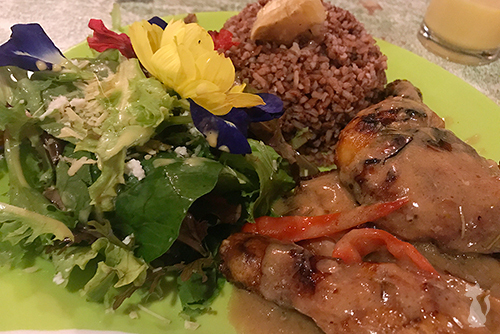 Try their Organic Chicken with Organic Red Rice and Salad, as well as a Mango Shake, and you will know what I mean. And you will love their complimentary appetizer with self made bread and butter, I’m missing it now that I write about it and see my picture. And if that’s all not enough, they have fantastic ice cream, too, using the thin waffle on the right side. The Bohol Bee Farm is located in Panglao, about 9km from Alona Beach. And they have another, smaller branch on the beach promenade in Alona – including a restaurant, ice cream booth and shop. They have free tours around the bee farm, too (about once every hour). Speaking about food – there are several great restaurants on Alona Beach. 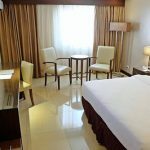 They are run by very diligent expats who do their very best to make their guests happy and receive good rankings on TripAdvisor. 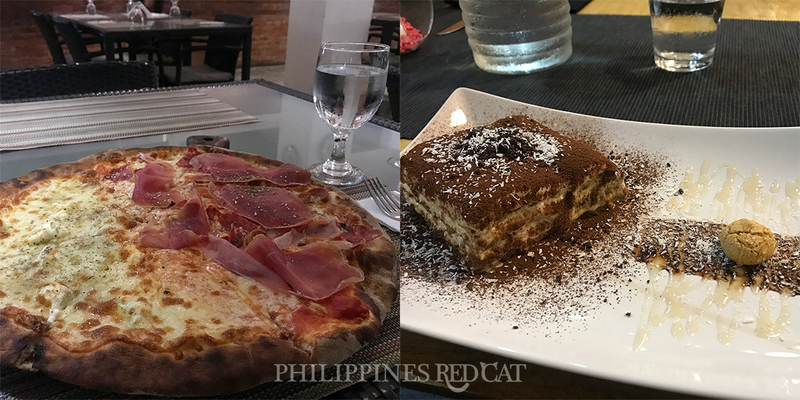 Three great places you should check out (apart from The Buzzz Cafe by the Bee Farm, see above) are Luna Rossa Vegetarian Italian Restaurant (try their lasagna and tiramisu), Giuseppe Pizzeria & Sicilian Roast (you can have 2 pizza styles in 1) and C.U. Biergarten. 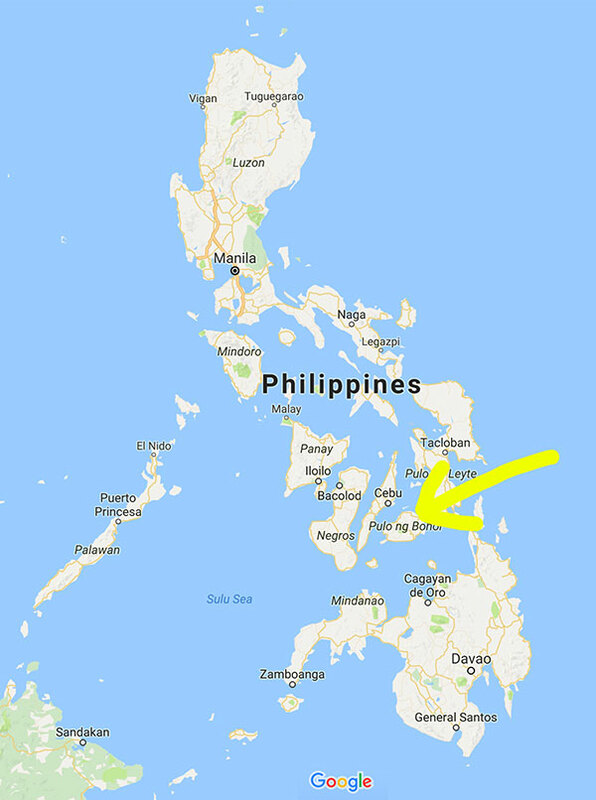 It can’t really get boring in Bohol, and so you can also do diving classes (about 300 USD for a PADI) or just one or two dives if you already have your license. Just inquire at one of the many travel agents on Alona Beach. 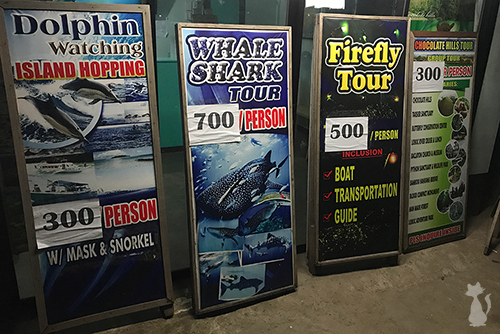 Apart from that, they also offer half day or full day trips such as whale shark snorkeling (which is more fun in Legazpi though) or island hopping.